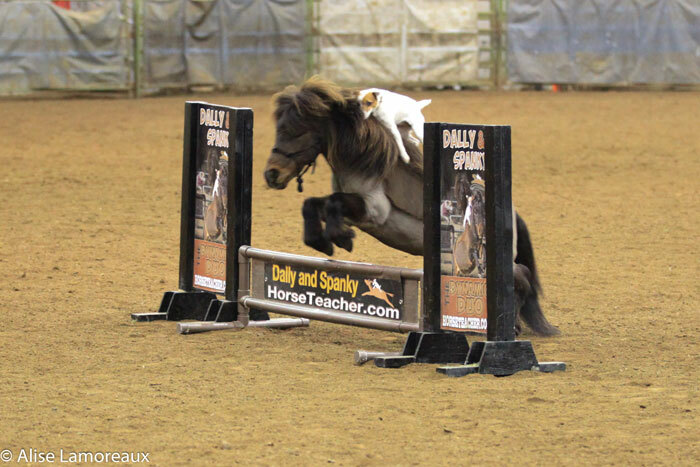 Spanky & Dally show off how to take a jump at liberty at the Northwest Horse Fair 2018! 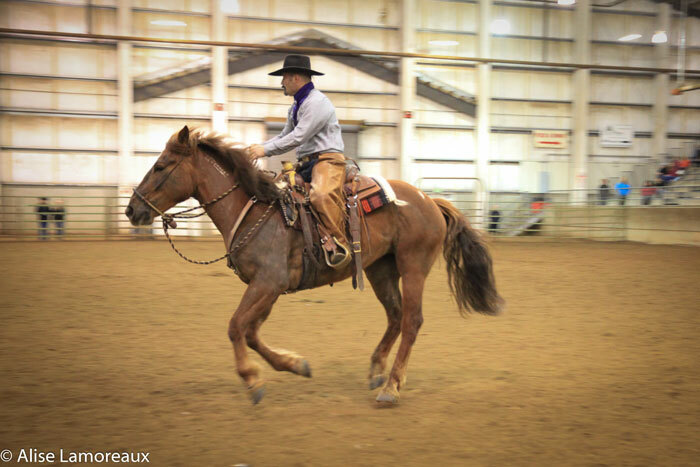 Scott DePaolo and his mustang Wallowa Rose one the Adult Riding Grand Championship in the Mustang Adoption Challenge. 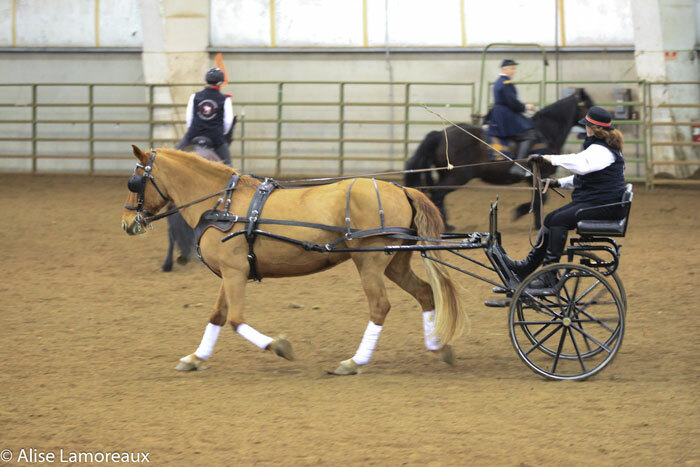 The Canadian Horse breed demo showed versatility with a wide variety of disciplines represented, within the breed. 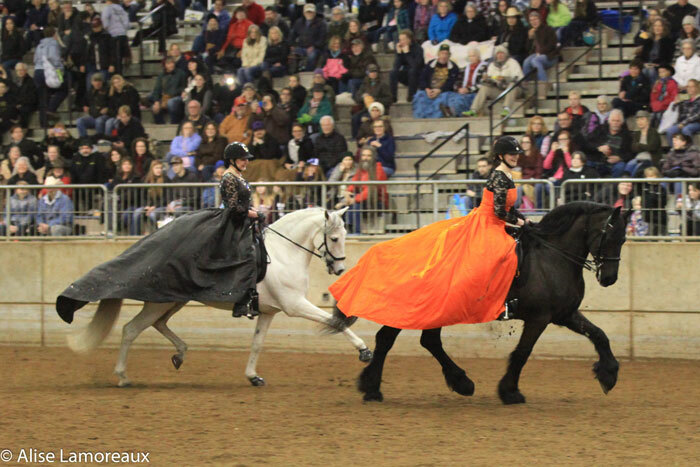 BlackPearl Friesian Dance Troupe show off flashy costumes on dancing horses at the Northwest Horse Fair 2018!